Three convenient locations serving Gambrills, Bowie, Odenton, Laurel, Millersville & surrounding areas. I love Dr. Keyes, I was very nervous about my first appointment, but he explained everything he was going to do to help me recover. Dr. Scanlon was outstanding! She explained everything to me clearly and she has already helped me immensely. I will continue to be treated by her and to refer all of my friends and family. Outstanding practice! Dr Oz is a great practitioner and makes us feel so comfortable. It’s like talking to an old friend! Friendly great staff and experience. Immediate pain and stress relief. The best chiropractic service. I’ve been to a lot of different chiropractors and I am happy to return to Dr. DeMaio. Wonderful practice! Will be going back regularly! Customer service was great and I enjoy attending my appointments! I liked that I felt at ease with the entire experience. There was no pain or discomfort and Dr. Jim would ask if I was okay with what he was doing. Look forward to my visits. The DeMaio Family Chiropractic office was my first visit to any chiropractor. Dr. Jim was awesome and took the time to explain everything in great detail to make sure I understood what was happening and why. I would absolutely recommend this office to anyone who is thinking about chiropractic care! Everyone was very friendly, helpful and professional. Felt very comfortable in the office. I feel much better after only one visit!! I have really enjoyed my experience so far and look forward to my future visits. Dr. Lindauer is excellent. Very skilled. Outstanding customer service, very friendly, nice environment. Very efficient office, staff was friendly! Dr Demaio is very patient and has great listening skills. I appreciate how he explained every step of the process. The team was very professional and pleasant. Very helpful and recommended different options to fit my needs. Highly recommend! Everyone in the office is super friendly and made me feel at ease, for my first ever chiropractic experience. Dr. Scanlon is awesome! Listens to everything you have to say or are concerned about and explains things very clearly. Also, received a follow up call from her which was very nice! Love this office. Staff is very nice and welcoming. I love Dr. OZ always explains things for me and I am grateful. It was a comfortable and relaxing experience. Very thorough and caring examination and treatment. Had instant relief from my pain! Dr. Jim was very personable and compassionate. I felt like he was truly listening and cared about helping me to get better. I also felt he was very genuine and sincere. He did not push any methods that he felt would not benefit me. He also respected my personal concerns regarding specific procedures. I felt very comfortable with him and very confident in him. The front office staff was very accommodating and friendly. Dr, Keyes was very attentive in keying in on specific symptoms presented him to help his patient. I would strongly recommend this practice to anyone in need of chiropractic care or physical therapy. I received phenomenal treatment during my initial session this morning after experiencing chronic, severe pain the past few weeks due to a recent accident. Dr. Osborn was outstanding – both as a listener and as a Dr. I highly recommend this facility and Dr. Give them a shot if you’re in pain! The Chiropractor covered my conditions and concerns with thorough knowledge and made recommendations for treatment options accordingly with my medical conditions. That alone sets the DeMaio staff apart from other clinics that want optimal patient turnout versus focusing more on the patient’s medical needs and that experience alone has just made me a long term patient… Thank you staff. I am extremely satisfied with Dr. DeMaio and the staff. I had never been to a chiropractor before so I was a little apprehensive. Dr. DeMaio listened to my concerns and through his hands on exam he was able to pin-point exactly where my trouble spots were! My only regret is that I didn’t come to Dr. DeMaio sooner! Dr. Jim is my chiropractor and his is absolutely AWESOMESAUCE(LOL). He made sure I understood everything he was going to do and what he found to be the problem. The office staff are always warm, friendly, and welcoming!!! Keep up the great work guys!! You Rock!! It was a great experience. Keep up the good work! My first visit was awesome. The friendliness and professionalism was much appreciated. I look forward to my upcoming treatments. Very professional, felt at ease during the visit. Look forward to coming back and working with Dr Erika and the staff! I would like to point out that the office staff and Dr. DeMaio were all extremely helpful and kind! The office staff went out of their way to accommodate my needs and I left knowing this was the place for me. I would highly recommend Dr. DeMaio to anyone searching for an honest, caring Chiropractic office! Wonderful staff. Dr .Jim was very helpful, informative, easy to listen, very patient. I will definitely come back, please keep up the good work and professional. I just think everybody there and Dr. Keyes was amazing, I should have done this a long time ago. I’m super excited for the future! I could not be more pleased with the level of care I have received so far! Very sweet and friendly staff! Very nice group of people. Seems like a super staff. Love Dr. Lindauer personal attention to questions and comments. Wonderful and Careful Place to go. Love this place. Walk out feeling great. Doctors are awesome and do everything they can to help my situation. Dr. Oz was awesome. I am confident that treatment for my back pain will be resolved. Staff was fantastic! Looking forward to next visit as I am feeling relief already. Dr. Keyes, was EXCELLENT! Bea was fantastic! She made sure I was seen at the earliest possible time and they even went around my work schedule! I truly recommend coming to your location and will even make sure my wife will come as well! The entire staff are great and make you laugh and feel comfortable. Thank you all so much! Office staff were very professional and caring. I was very grateful that they saw me so quickly. I was at my wits end with pain. Dr. Scalon is wonderful as is the rest of the staff. Front desk staff friendly and helpful. It makes all the difference in the world. The office is beautiful! Looking forward to feeling better. Thank You. Dr Jim was great. Took his time explaining what needed to be done over a course of time and what he was going to do during the appointment. I’m looking forward to future visits! I could tell that my therapist truly cared about my wellbeing from my very first visit. Dr. Jim and the reception staff were superb. Very friendly and I felt welcome right off the bat. Awesome welcome packet, too. Very clean, beautiful professional facility. All personnel at your office are greatly better than any chiropractic office I have been in during the last ten years. All members of the office, skill sets are above average. They all want to help fix your problem, and they explain your progress along the way. I’m feeling much less pain after my very first visit! Looking forward to my next visit which means I will be one step closer to feeling great. Very friendly and inviting environment. I loved the Odenton office and their staff. It’s hard to find an office with friendly staff and a doctor you like and trust. I found both in this office. My kids loved it too. Very welcoming. First time I’ve been to a chiropractor and was nervous. After talking with the doctor, I felt more at ease. Great physician and staff….great healthcare delivery. Thanks to Dr. James Keyes he is the best! I love this place the whole staff is very good. I like the one on one atmosphere. Everyone in the practice has been exceptional – from the office team to the doctor! Amanda and Bee were extremely helpful and courteous. Dr. Lindauer was super friendly and really alleviated the pain I was in. I came in barely being able to move my neck and now I’m playing golf again and feeling good, and it’s only been a month since my first appointment. 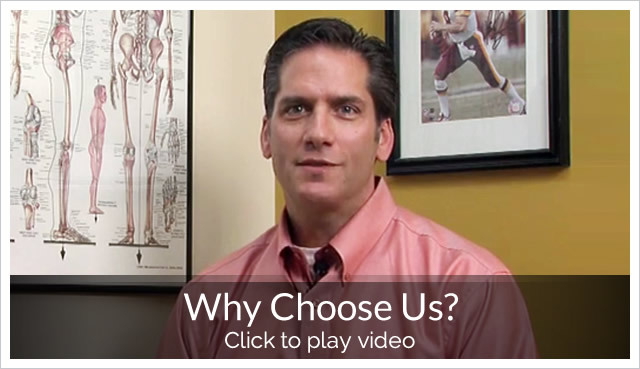 Chiropractic service works, and Dr. DeMaio and his staff do it well. Excellent services! I’ll definitely use your services in the future. Very nice office, and Dr. DeMaio is awesome. Dr. Jim is amazing! Entire staff is pleasant to work with. I have recommended this facility to friends and family. Keep up the great work. Everything was very professional, from the website, the staff making appointments, the initial intake and the doctor. I felt very comfortable and confident in their skill sets. Great first experience with Dr. Keyes! The front desk staff was also very friendly and accommodating! Had a great experience. Looking forward to bringing my husband, too. Thank you Dr. Jim for your time and patience with me! Appreciate it! Great experience pain relieved in the first visit will definitely be back!!! The staff makes you feel welcomed. Excellent visit! I received exceptional care. The doctor thoroughly answered all of my questions and the staff provided prompt, attentive service. The adjustment itself felt wonderful and I look forward to my next appointment. Everyone was kind and helpful :) I’m on the road to feeling great! Thank you! I was very pleased and in fact after my first visit I feel much better already!!! I am very hopeful that this problem can be conquered!!! Thanks!!! I had never been to a chiropractor before, I’m very glad to have this group working toward my back wellness. All of the staff was very personable and Dr. Osborn very patiently answered my questions and put me at ease. Dr. Hempey is great! After being in pain for several years and trying many other practitioners with no results, I am finally pain-free. Waking up without back pain and being able to do any activity I want is simply wonderful! This is the happiest, most helpful, organized, doctors office from the receptionist to the doc seems like the entire staff loves working there. I did not feel like a patient herded in and out nor rushed. I am extremely happy I discovered this office. Thank you. It was nice to feel so welcomed at this place. Everyone that works there is so kind – you feel like family. Truly an amazing place because of the people. Kindness goes a long way. Dr Jim was wonderful. Very gentle and caring. Very thankful I was referred to your practice. I work as a nurses aid and my back takes a lot of abuse on a daily basis. I’ve referred two friends to your practice as I feel a lot better already. I was very impressed with the friendliness of the staff! The entire staff was very happy and friendly, also, everyone seemed to be well experience. Extremely efficient and friendly staff. AMAZING first experience! 10/10 would recommend! I already feel so much better! Thank you! Great team both in the front and Dr Jim. Everybody was so nice! I loved Dr. DeMaio and everybody on the staff is excellent they listen and they are so helpful! My experience has been great. I would recommend chiropractic to anyone. Listened to me and I love to talk. Been going to chiropractors for 25 years and did a great job! I’ m glad I came and I really appreciate the time I was given!!! Great facilities and a courteous and professional staff. Thank you. The staff did a great job and Dr. Keyes is excellent! I am very pleased with everything about this practice. Providing Gambrills and Bowie, Odenton & Odenton chiropractic patients with comprehensive holistic health care for the entire family is our mission at DeMaio Family Chiropractic & Physical Therapy. Treating newborns to centenarians for over twenty years, we have the experience and expertise to help you achieve your health and wellness goals. Not all chiropractors utilize state of the art diagnostic technology, but at DeMaio Family Chiropractic & Physical Therapy, we utilize lab, x-ray (including high-frequency x-rays), MRI and CT bone scans when necessary to make the proper diagnosis. If you are looking for a chiropractor in Gambrills, Bowie or Odenton who will go the extra mile to help you achieve your health objectives, give us a call today to schedule your first appointment.